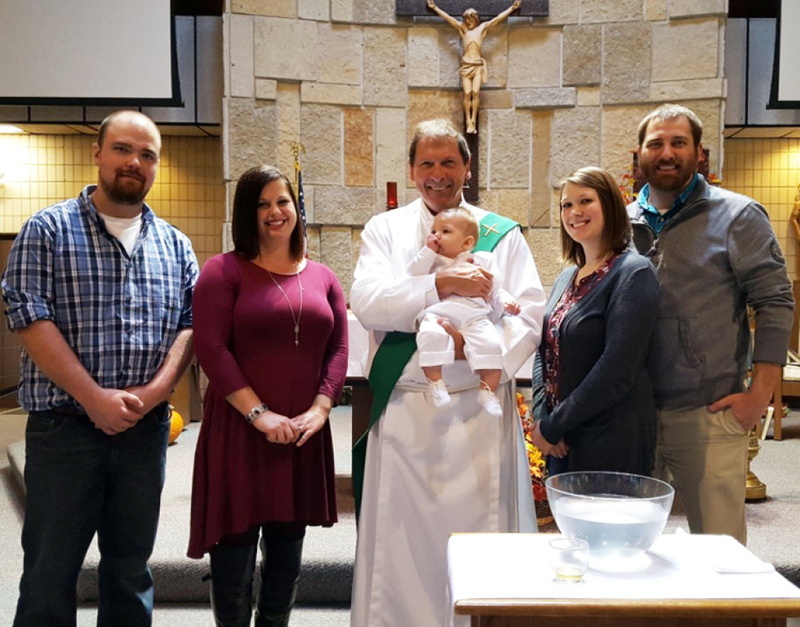 Infant baptism may be scheduled by contacting Rene at the parish office, 363-7615 X100. Baptism preparation class is required for parents, unless they have had a prior preparation class within the past five years. Parents have the option of having their child baptized in a ceremony with other families after the 10:30 Mass on the weekends that Fr. Loyola is scheduled for Mass at St James or at Mass when Deacon Gordon is scheduled to preach at St James. Baptisms during Sunday Mass are highly encouraged so the parish community can celebrate with you! The preparation sessions will be on the first Thursday's from 6:30pm-8:00pm and are held in Room 9 of the Parish Center. Classes are lead by our Adult Faith Formation-Parish Life Coordinator, Renee Hitt. Marriage preparation requires the priest be notified at least 6 months prior to the anticipated wedding date. At least one of the parties must be a registered practicing Catholic member of our Parish. Please call the Parish Office for more information. Perhaps you've wondered if you should become a Catholic. Many others, drawn by a search for truth and meaning in their lives have asked themselves that same question. Are you not sure you know enough about the Catholic Church to decide that you are interested in becoming Catholic? We invite you to watch a short video about the Catholic Church by clicking here. R.C.I.A. (Rite of Christian Education of Adults) is the process by which interested non-Catholic adults become members of the Christian community of the Catholic Church. Children over the age of seven participate in the R.C.I.A. process adapted for their age. Both the laity and the clergy provide the education in the ways of the Lord and the beliefs of the Church. Lay sponsors help support and guide the candidates in their journey of faith. The entire parish community is involved in the preparation through prayer and witness and by renewing its own commitment in faith. Anyone who is considering becoming a part of the Catholic community of faith may enroll, including those baptized in other Christian denominations, those unbaptized, and those baptized in infancy as Catholics, but not brought up in the faith.